Jachs’ crewneck sweatshirts are classic fitting pullovers with a striped pattern made from a cotton/polyester blend for a cozy fleece feel. And their fall collection of chinos are made from a sateen stretch cotton (98% cotton, 2% spandex) for added mobility, available in 8 colors. 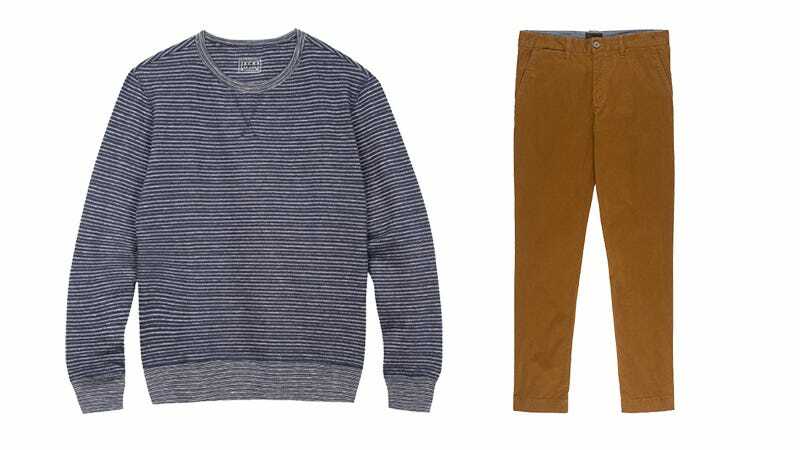 Use code COMBO to get any sweatshirt plus any pair of chinos for a flat price of $60, a savings of 65%. Promo active 11.19-11.26.